By buying this product you can collect up to 1619 loyalty points. 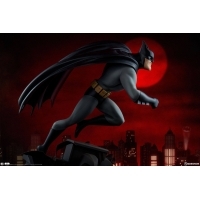 Your cart will total 1619 points that can be converted into a voucher of RM16.19. 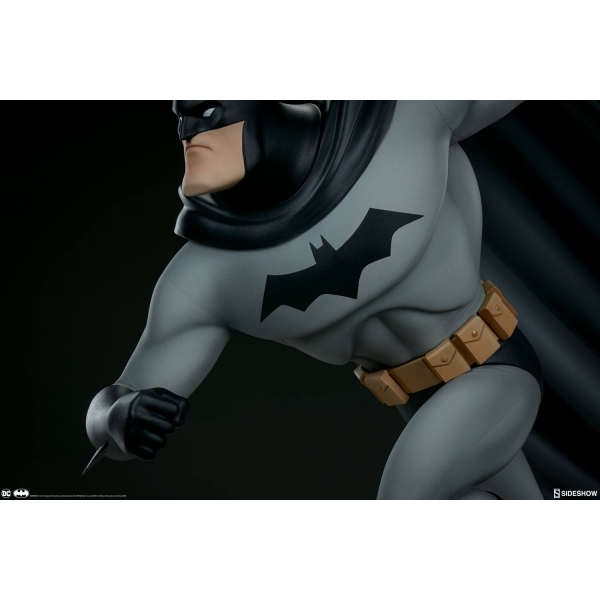 Sideshow is excited to present the first DC collectible in the Animated Series Collection, the Batman Statue. 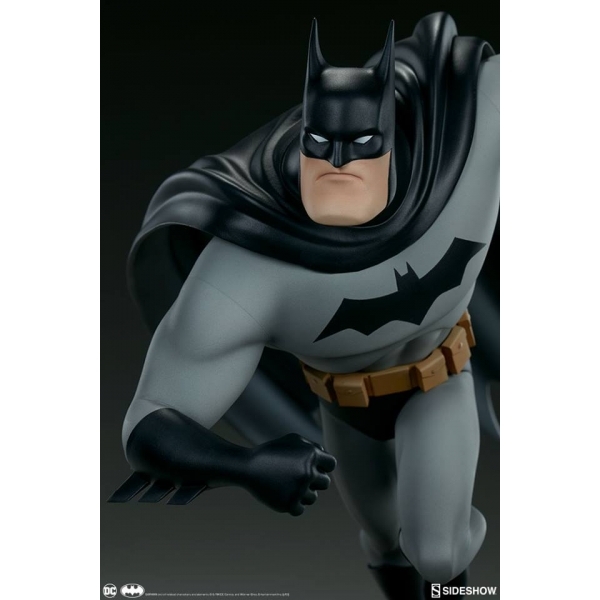 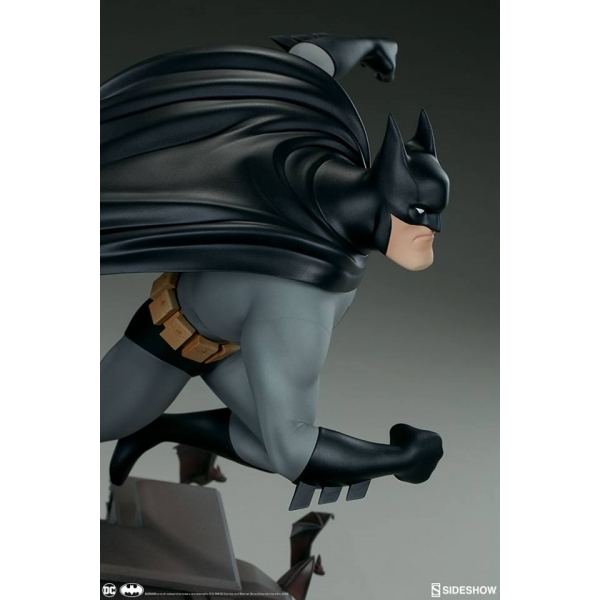 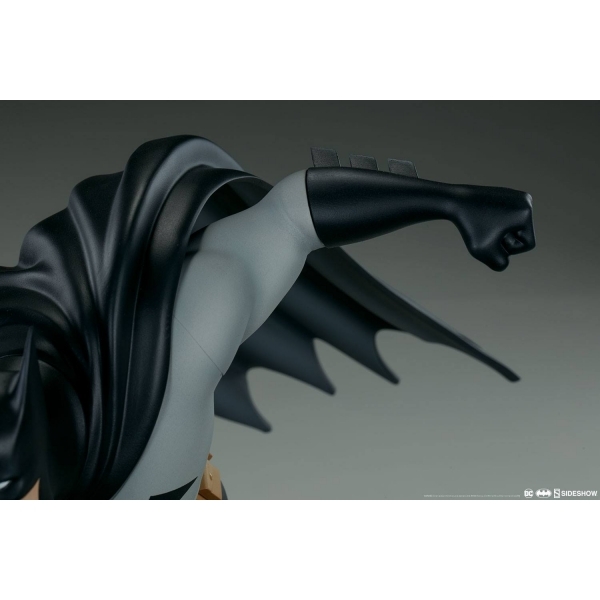 Inspired by Batman’s iconic animated appearances, this collectible captures the dynamic motion and action-packed energy of the Caped Crusader in a beloved art style. 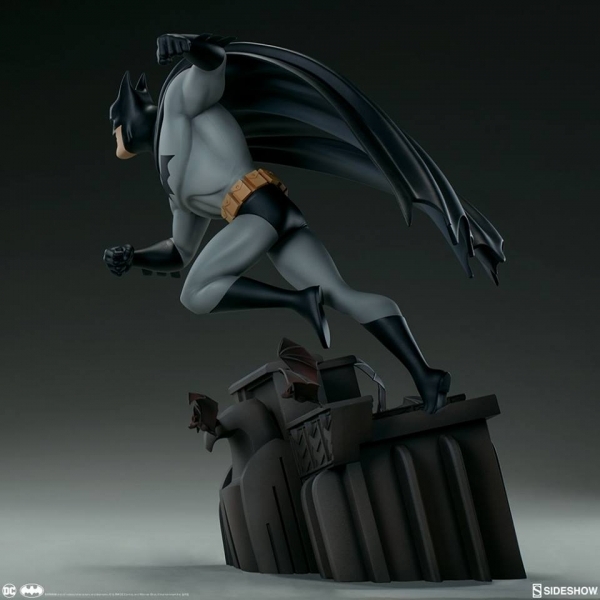 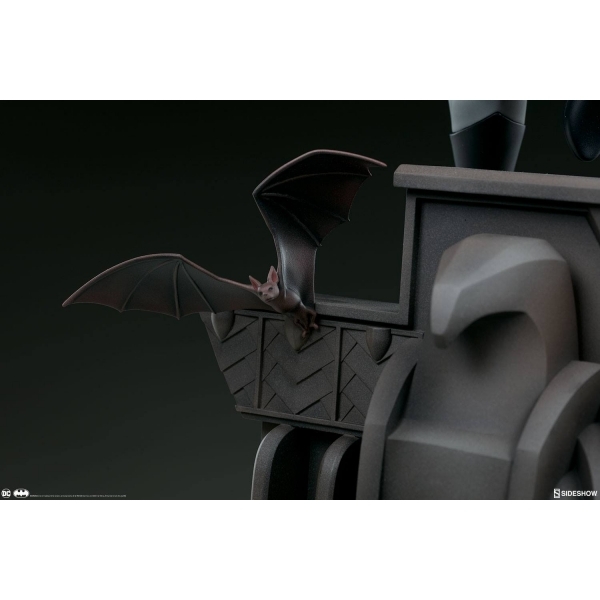 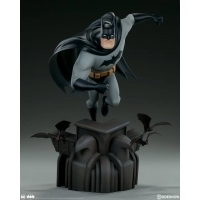 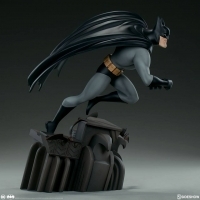 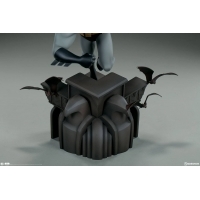 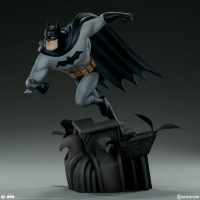 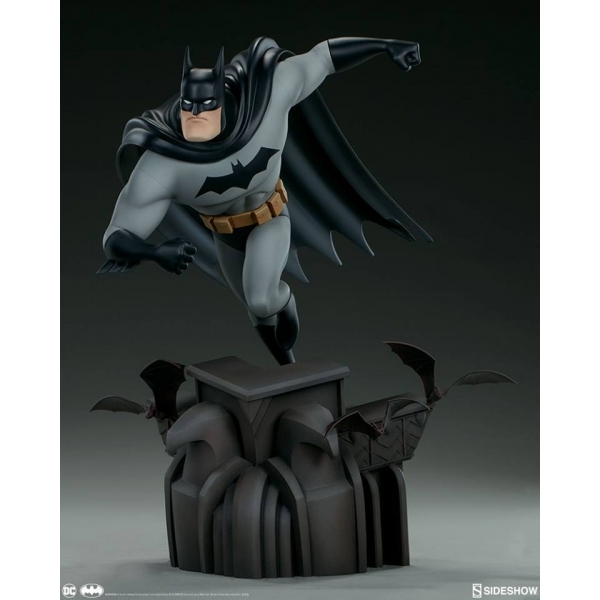 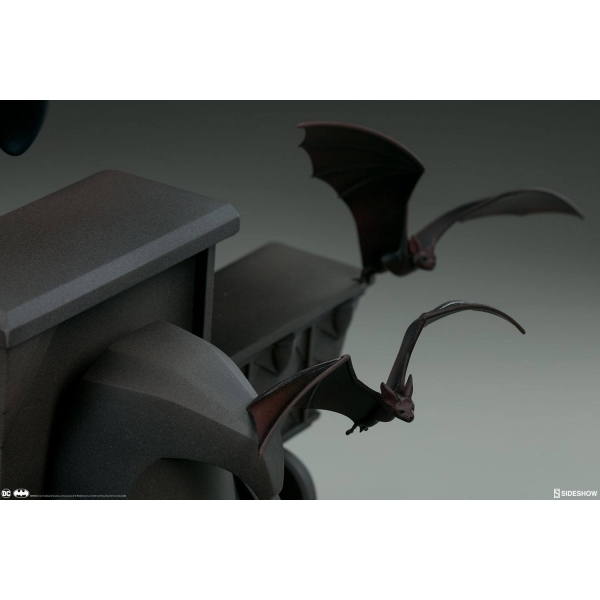 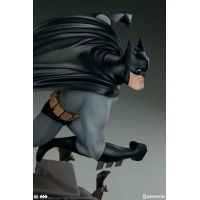 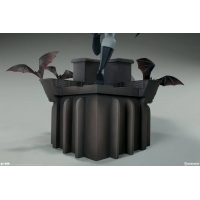 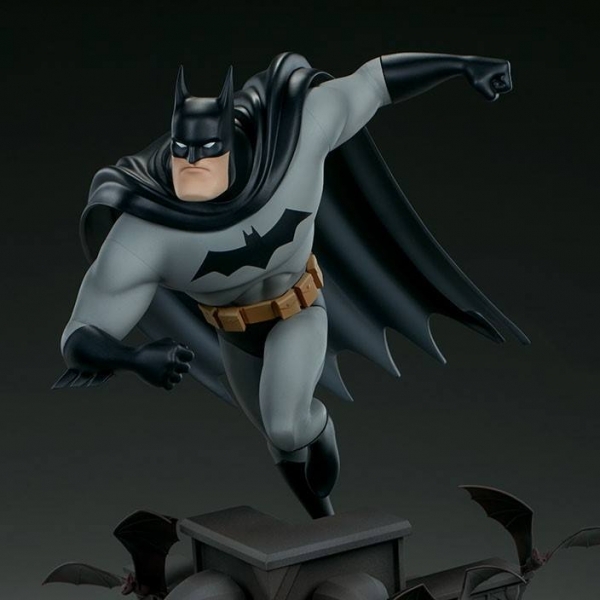 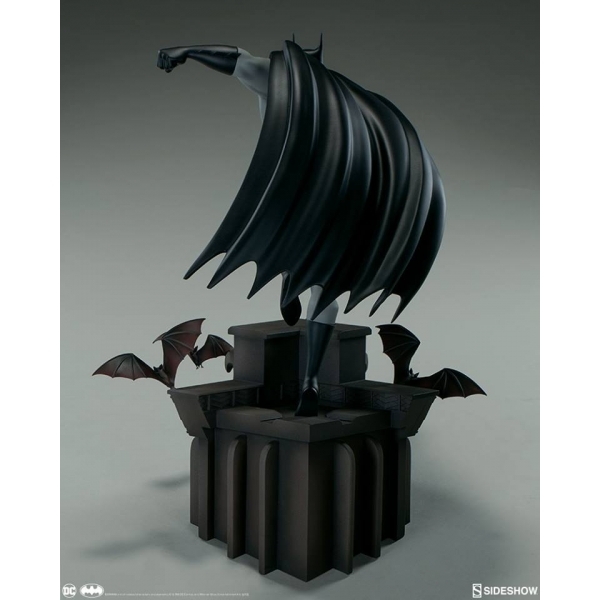 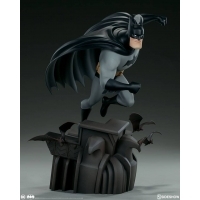 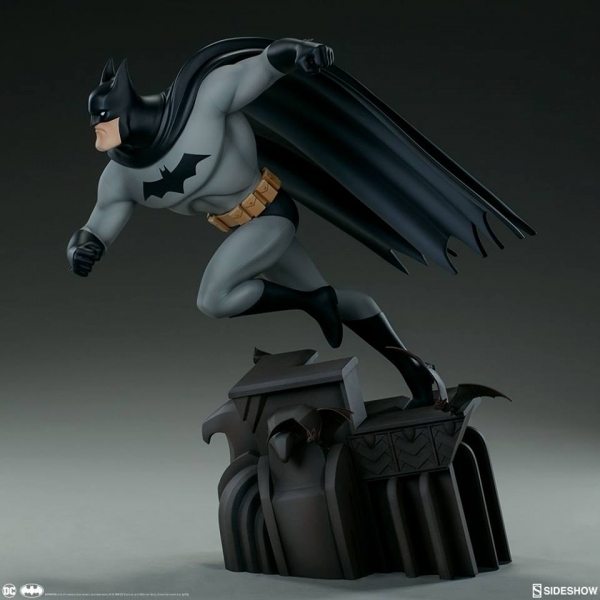 The Batman Statue measures 16” tall, depicting the Dark Knight taking a running leap off of a Gotham rooftop base as bats take wing into the night. 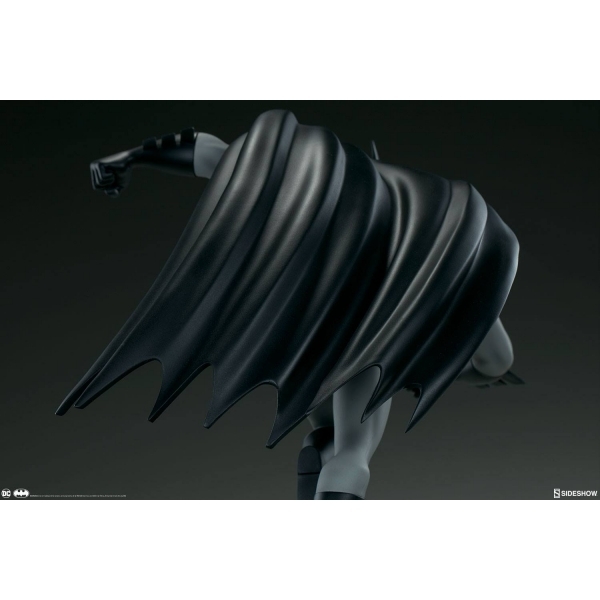 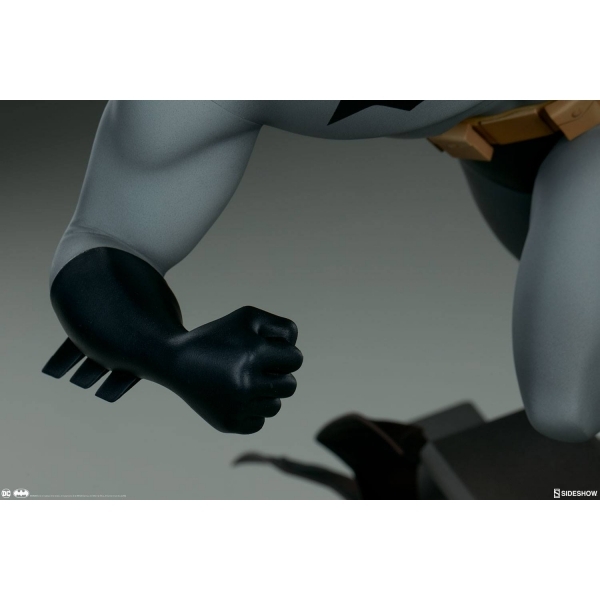 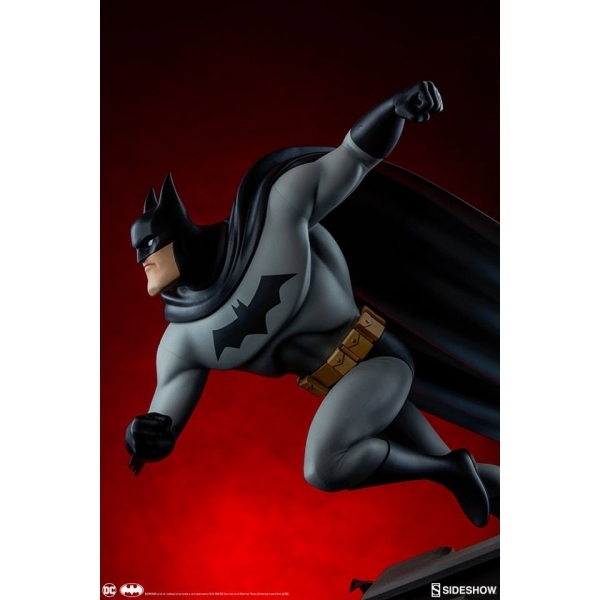 The resin Batman Statue features a sculpted costume, stylized to capture the movement and striking silhouette of the World’s Greatest Detective. His grey bodysuit has the animated bat-symbol on the chest along with black gloves and boots, a black sculpted cape, and a yellow utility belt. Batman’s portrait features a pointed cowl with white eyes and a determined expression as the hero prepares to leap from the rooftops to protect his city from crime. 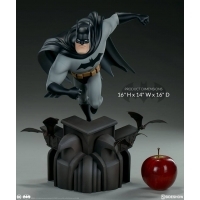 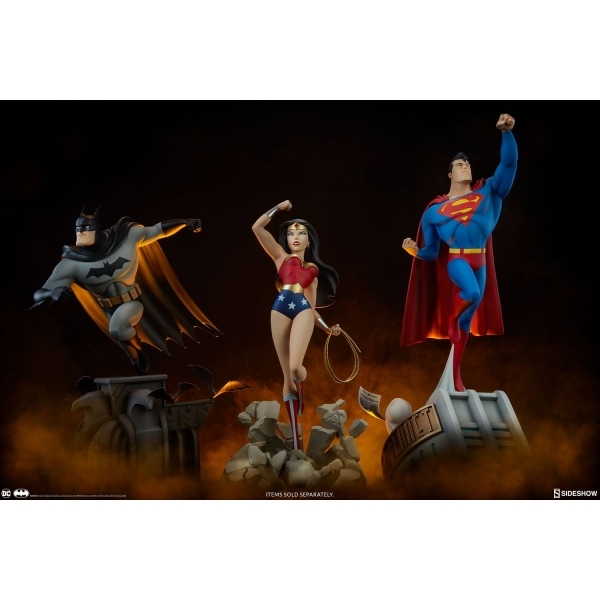 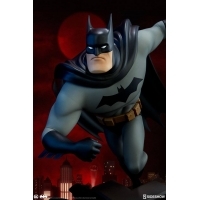 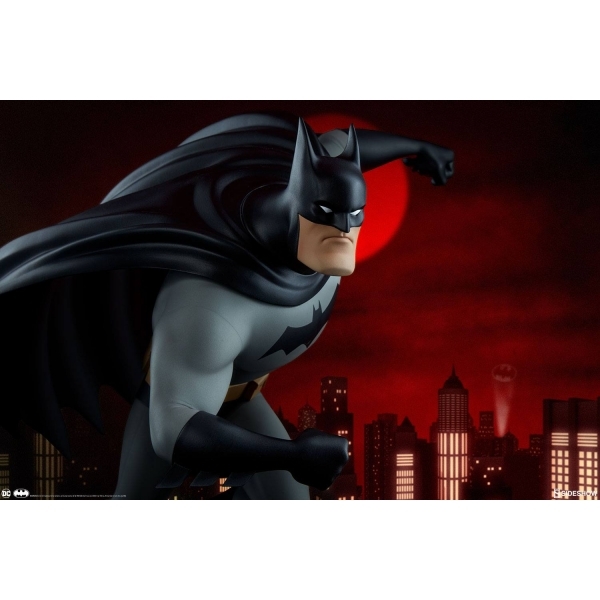 Animate your DC collectibles display and order the Batman Statue today!